Beware of bogus press releases. Shares of Zynga Inc (NASDAQ:ZNGA) moved higher yesterday — and Baidu.com, Inc. (ADR) (NASDAQ:BIDU) shares fell for the fourth consecutive trading day — after a fake press release surfaced, indicating that China’s leading search engine was acquiring the top dog in social gaming. It was an easy enough hoax to sniff out. The press release originated on PR*Urgent, a legitimate website but one that provides free press release submissions to anybody. Then there was also the matter of the $10 a share buyout price. If Baidu.com, Inc. (ADR) (NASDAQ:BIDU) were to buy the troubled social gamer, would it really have to shell out a 213% premium? Of course not. However, good ideas can come from bad scams. 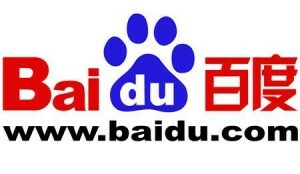 Baidu.com, Inc. (ADR) (NASDAQ:BIDU) snapping up Zynga Inc (NASDAQ:ZNGA) — at the right price, of course — wouldn’t be a bad idea after all. Zynga is a mess. Gross bookings are sliding sequentially, and the company behind FarmVille and Words With Friends is expected to revert to a loss this year on a 17% decline in revenue. There’s a reason why Zynga has surrendered more than two-thirds of its value since going public 16 months ago at $10 a share. However, Zynga Inc (NASDAQ:ZNGA) still attracts nearly 300 million monthly active users to its games. It’s no longer the Facebook Inc (NASDAQ:FB) bandwagon play that investors thought they were buying into at the time of its IPO, but it’s still the largest app developer on the world’s leading social networking website. Zynga’s apps are also routinely near the top of the most downloaded applications on iOS and Android devices. In other words, Zynga is strong in mobile at a time when Baidu.com, Inc. (ADR) (NASDAQ:BIDU) is perceived as being weak in the migration away from desktop computing to smartphone computing. Baidu could also make the most of the low-lying fruit that introducing Zynga’s hottest releases throughout China under the Baidu banner would be. At a time when social networking is as hot as ever, being a big Facebook partner via Zynga can only help. Let’s also not forget Zynga Inc (NASDAQ:ZNGA)’s recent foray into real-money gambling in the United Kingdom through an overseas partner. Can I get a “how now, Macau” out of you? The beauty of it all is that this would be one of Baidu.com, Inc. (ADR) (NASDAQ:BIDU)’s cheapest acquisitions. Zynga began this year with $1.65 billion — or more than $2 a share — in cash and equivalents on its balance sheet. Going public at $10 will do that. As long as Baidu wouldn’t have to pay too dear of a premium, it could steal Zynga and pay for most of the transaction with Zynga Inc (NASDAQ:ZNGA)’s own greenbacks. Baidu doesn’t need the fire sale. It began the year with $5.2 billion in cash and equivalents. A good price wouldn’t hurt, and with Baidu’s stock near its recent 52-week low, it’s not as if Baidu.com, Inc. (ADR) (NASDAQ:BIDU) needs to protect its good standing among investors that may initially see a Zynga Inc (NASDAQ:ZNGA) buy as a negative for the fallen dot-com darling. Yes, the fake press release was a hoot. The idea, on the other hand, has merit. The article Baidu Buying Zynga Wouldn’t Be Totally Crazy originally appeared on Fool.com and is written by Rick Munarriz. Longtime Fool contributor Rick Munarriz has no position in any stocks mentioned. The Motley Fool recommends Baidu and Facebook. The Motley Fool owns shares of Baidu and Facebook.